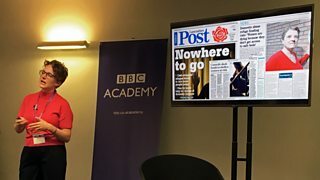 BBC Blogs - Academy - Can data save journalism? Data is integrating itself into reporting and the business of journalism at all levels, making data journalism now much more than a geeky skill for newsroom staff who like spreadsheets. What’s more, data is making journalism better by focussing on “patterns rather than events”. Familiar complaints about the media’s obsession with personalities and conflict are mitigated by the contribution of data which is about “context rather than individual incidents”. So how is this new kind of journalism practiced? Several conference speakers illustrated a clever way in which the nature of data collection presents an opportunity to combine the efficiency of a national operation with the individuality of local media – thus, at the same time, helping to combat the current problems of local journalism. First to explain the idea was Megan Lucero, director of the Bureau Local, a new team dedicated to promoting local journalism through data within the Bureau of Investigative Journalism. The Bureau’s four staff work nationally, collecting country-wide data by gathering and analysing available public sources or submitting Freedom of Information (FOI) requests. They then collaborate with Bureau members, who are local reporters or even members of the public, to produce what they call a “reporting recipe”. These are the ingredients that can be put together to create stories from the data, highlighting individual localities. 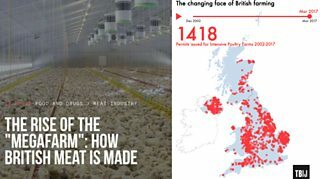 Here’s an example: the Bureau Local hunts down data about giant US-style “megafarms” which are becoming more common in the UK and are a potential cause for concern in terms of both animal welfare and pollution. It maps them (top) and even produces its own drone footage showing what a megafarm looks like. It then sends all the ingredients of its research to Bureau members and they add local specifics such as interviews and human interest angles to make a unique story for their area from the national information they’ve been given. Result, in this case: the story runs nationally in the Guardian and is customised by 20 local papers. The Bureau Local is part of a non-profit organisation with a mission to promote public interest stories locally and to “democratise data journalism,” Megan said. Funding comes in part from Google's Digital News Initiative. Any idea that this kind of model for data journalism could only work in some kind of philanthropic context was put to rest by two other speakers. Aasma Day is an investigative reporter at the Lancashire Evening Post but she’s also the leader of an investigations unit which works across the whole of the Johnston Press, a huge business that includes 180 regional weekly titles, ten dailies and the i newpaper. The investigations unit is not a big operation: its members, like her, are also doing full-time jobs in their own papers. The stories that Aasma’s group have worked on include compiling data about sentencing for dangerous driving - revealing that nobody had been given the maximum sentence. Each local paper could then use this as background to stories in their area. The law about sentencing for dangerous driving was changed this year, as a result of this project, Aasma said. Another story involved analysing financial projections for the NHS, to show how many hospital closures are planned. Again, local papers could highlight the particulars in their area. A third speaker at the conference explained how she had used data in combination with powerful human interest reporting locally. Emma Youle is one of a team of three in the company-wide investigations unit of Archant, another business with a large collection of local newspapers in London and elsewhere. 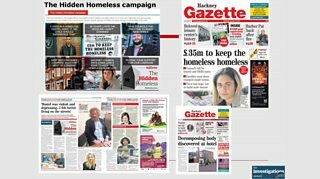 Emma won the 2017 Private Eye Paul Foot Award for a story about the cost and conditions in homeless hostels that ran over five weeks in the Hackney Gazette. The story combined the results of data analysis of government statistics about the number of households in temporary accommodation, broken down by borough, with costs learnt from FOI requests. By compiling a spreadsheet of London boroughs, the team could see where the most money was being spent on private accommodation for the homeless and by comparing current with past figures, where costs were rising fastest. Emma also conducted 20 interviews with people about life in hostels and she went undercover to report from inside hostels. 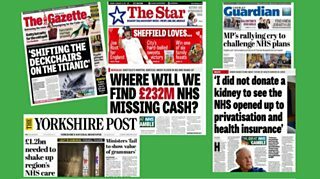 So does this new combination of local journalism and nationally-analysed data offer a way to revive genuinely local stories – and perhaps to retain jobs in journalism locally? Well, perhaps. But as another speaker described his news startup, technology and data once again looked like they weren’t going to be helping with those traditional local reporting jobs. The process involves a journalist writing a story template for “every eventuality” that might be thrown up by the figures in a large data set. For instance they might feed the numbers from a spreadsheet into a sentence such as “since w, house prices in x have increased by y/fallen by z/stayed the same”. Urbs is working with the Press Association in a joint project partly funded by the same Google News Initiative that supports the Bureau Local. When the partnership was announced, there was a flood of stories about Google supporting the writing of stories by robots. In fact, Urbs employs journalists, as explained above, to decide what would make a story from a particular set of data. But Alan said the team had a laugh about the coverage of them as robojournalists because although it was reported in many different publications, the stories were all the same – all copied, presumably from one original news wire piece. So much for the army of journalists sweating over their own reporting while they wait to be put out of business by robots! The Data Journalism UK conference is supported by the BBC Academy, Birmingham City University and the University of Stirling.